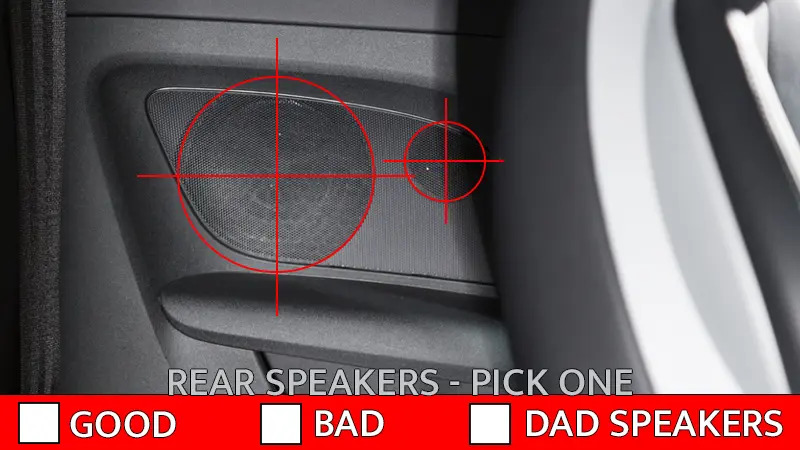 Rear Speakers – A Benefit or a Bad Habit? For decades, automobile manufacturers have installed relatively large rear speakers in their vehicles. The stereotype of a set of 6×9 speakers sitting on the parcel shelf of a Monte Carlo is as “car audio” as it gets. As the industry has evolved, the importance of rear speakers has diminished. Are rear speakers necessary? Do they offer a benefit? Are we just holding on to a bad habit? Read on to explore more about rear speakers. 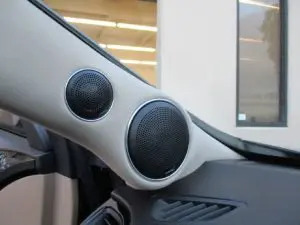 Automakers used to take advantage of the opportunity to put speakers in the rear of their vehicles because those speakers could be larger that the ones in the front of the vehicle. Consider a third-generation Camaro or Firebird. They had a set of 4×6 speakers on the dash and a set of 6×9 speakers in the rear sides. Likewise, a fourth-generation Monte Carlo had 3-1/2-inch speakers in the dash and 4×10-inch speakers on the skinny little rear deck. In most cases, a speaker with more cone area will play louder for a given amount of power. Larger speakers are capable of producing more bass. We recently saw a factory audio system with a 9-inch door speaker, and 6x9s in a pickup truck and SUV doors are very common. The trend in the last decade for both factory and aftermarket car audio systems has been to recreate a live performance as realistically as possible. This shift in design has introduced us to the need for proper speaker placement and the use of larger speakers in the front of the vehicle. 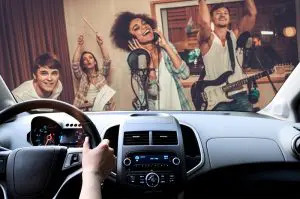 The use of digital signal processors to set up crossovers, signal delay and equalization for each speaker location has further improved on our ability to create what is known as a soundstage in our vehicles. A soundstage refers to a perceived source location for our music. 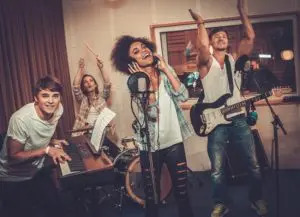 In a perfect world, our music would appear to come from far out in front of us and provide a good sense of width and depth, excellent focus, and realistic ambiance – just like a live performance. 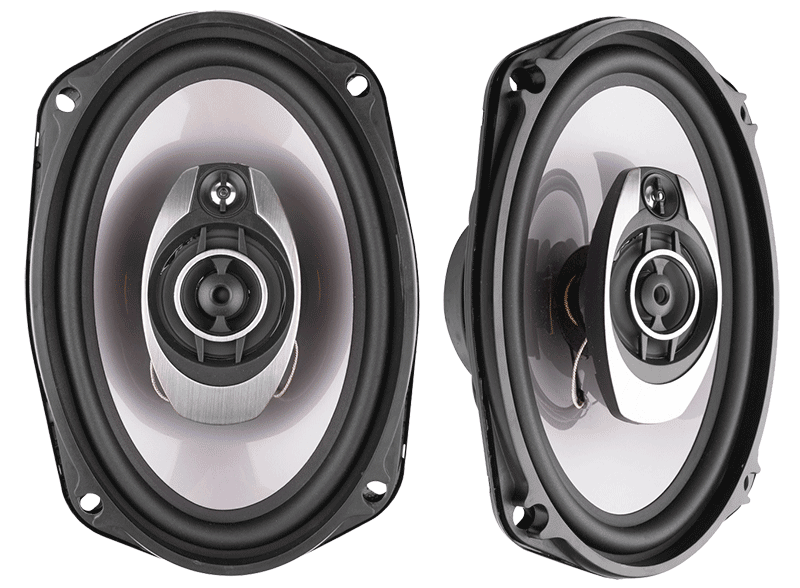 Automobile manufacturers have to balance cosmetic design versus optimum speaker placement, and speaker placement often loses the fight. How do you like to enjoy your music? Do you attend live performances? Do you listen to a two-channel system at home? Do you usually use headphones? Are you into surround sound? 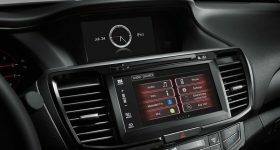 Your answers to these questions can help your car audio specialist retailer design a system that will sound the way you want. 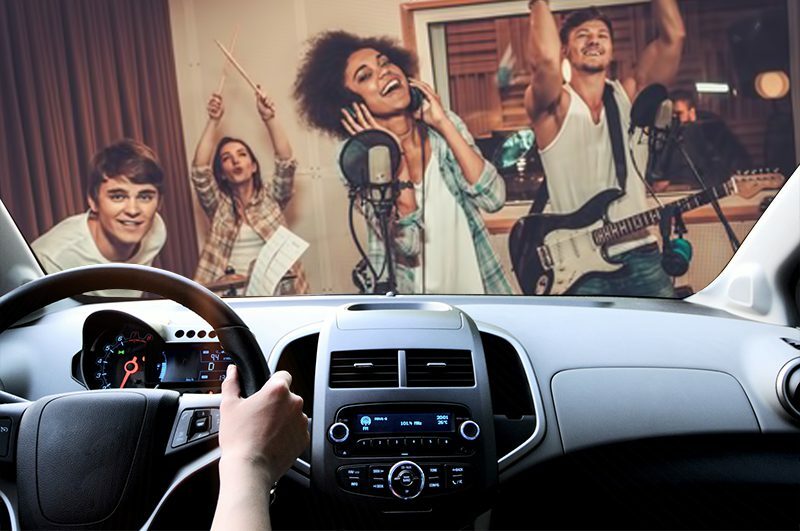 If you like live performances and two-channel audio, then it’s most likely that you would enjoy a system with a soundstage that is out on the dash of the vehicle. In this application, rear speakers are not very important, and in most cases, the money saved by not purchasing and installing rear speakers at all will allow you to buy better front speakers. If you listen to headphones, then you may want the sound from your system to wrap around you evenly. You may enjoy a system that makes you feel as if you are in the middle of the sound. An equal amount of sound will come from in front of you as behind you. In a system like this, using similar or even identical speakers in the front and back can help produce great results. If you watch a lot of movies in surround sound, then you need to work with your retailer to decide what is right for you. In movies, the side and rear channels are usually reserved for special effects and ambiance. You may want to go without rear speakers in a mobile audio system. Very few sources include surround information, and currently there are no aftermarket surround sound reproduction solutions, although some are coming. In pure, raw technical terms, you want as few speakers in your system as possible. Additional sources of sound can result in interference patterns called comb filtering. An ideal system would offer full-range left and right signals, and – because we typically can’t use large speakers in our doors – a subwoofer to fill in the bottom few octaves. The placement of the speakers can have a dramatic effect on the sound of the system. From a perspective of tonal accuracy, having the midrange speakers in the doors works well. This location typically produces a very wide soundstage. A door location does not often result in a soundstage that appears to emanate from far out in front of you. To achieve that, you may need to use a smaller midrange speaker with a tweeter in a dash or A-pillar location. When possible, try to ensure that tweeters are mounted within 20 degrees of being on-axis to the listening position. Another consideration for rear speakers is whether you have passengers in the rear of the vehicle. If you have children or friends in the back, then it would serve them well to have speakers to enjoy. Yes, they will be able to hear the dash or front door speakers, but not as clearly as if they had something close by. It would not be unreasonable to design an audio system that allowed you to turn the rear speakers on and off, depending on your needs. For systems designed with a focus on the front soundstage, rear speakers are often operated at a much lower relative level than the front. Some people call this technique “rear fill.” The intent is to provide a sense of spaciousness to the listening environment. 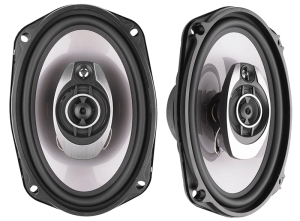 Employing rear fill speakers splits the divide between systems with or without rear speakers. The relative level of these speakers is critical. Too much can start to pull the soundstage rearward. There is no right or wrong when it comes to a preference for the location of your soundstage. Whatever you enjoy is the right choice. Your local mobile electronics specialist retailer can work with you to design a system that sounds the way you enjoy. Drop in today and ask if they have a demo vehicle that you can audition. That’s a great way to decide what solution is best for you.